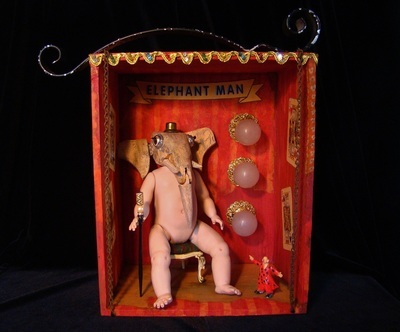 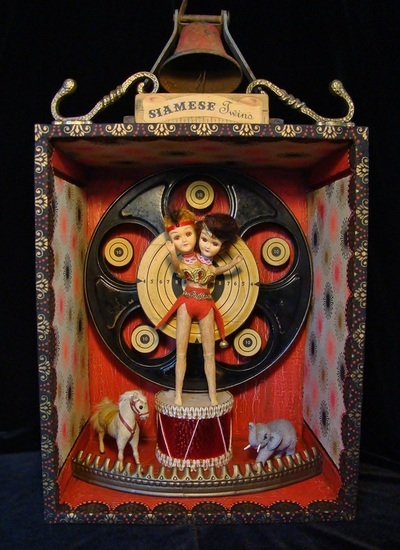 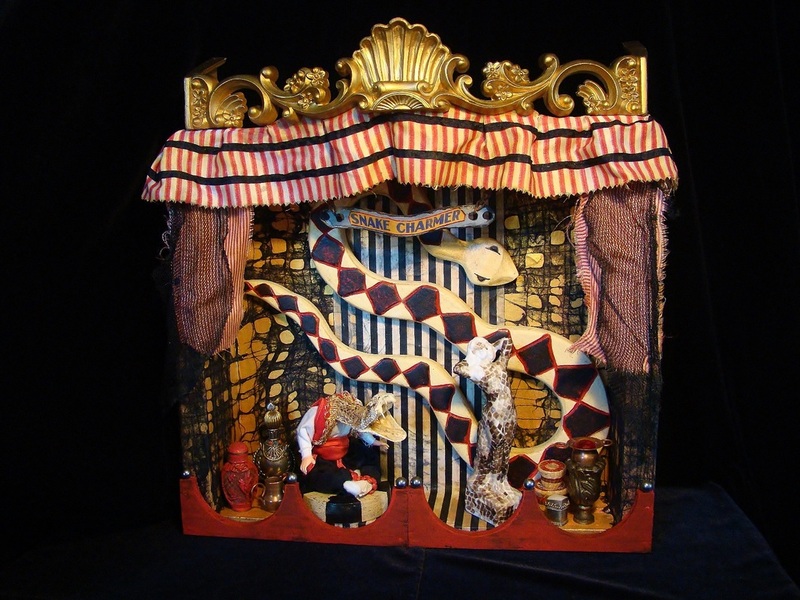 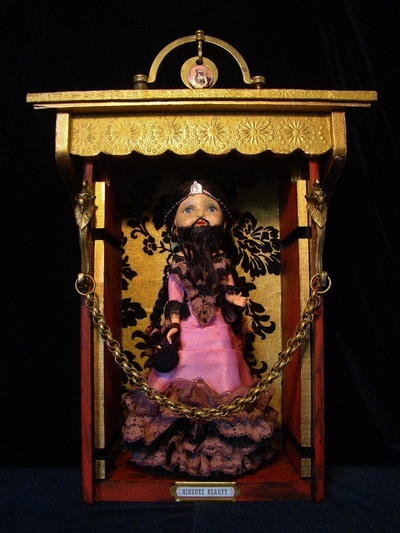 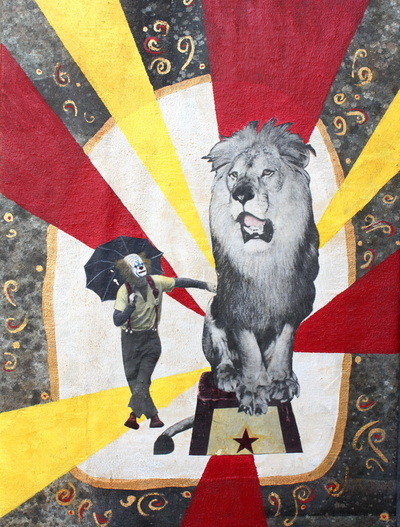 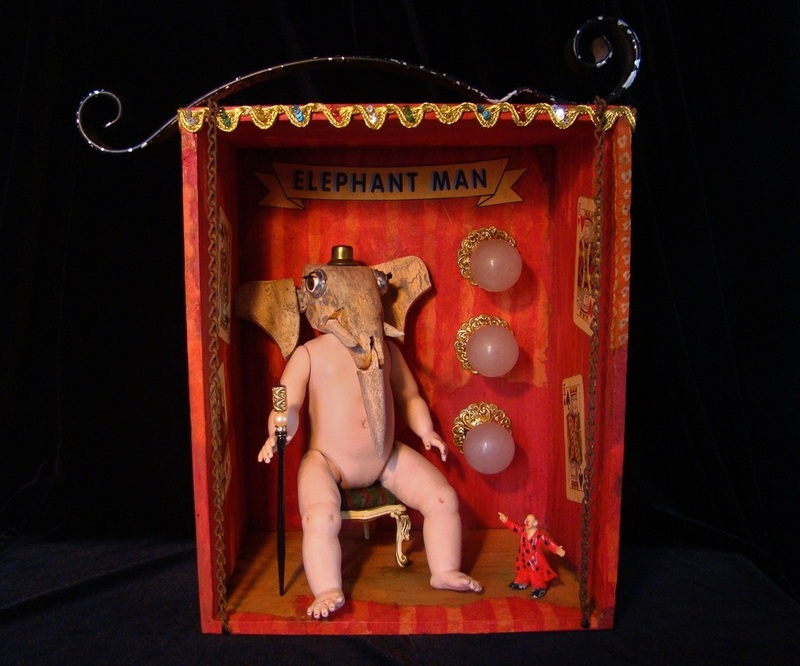 Inspired by the sights, smells, sounds and showmanship of carny culture, “Circus Freaks and Sideshows” portrays the whimsical, wide-eyed enchantment encountered under the Big Top intertwined with the shadowy mysteries and hardships of a life on the fringe of society. 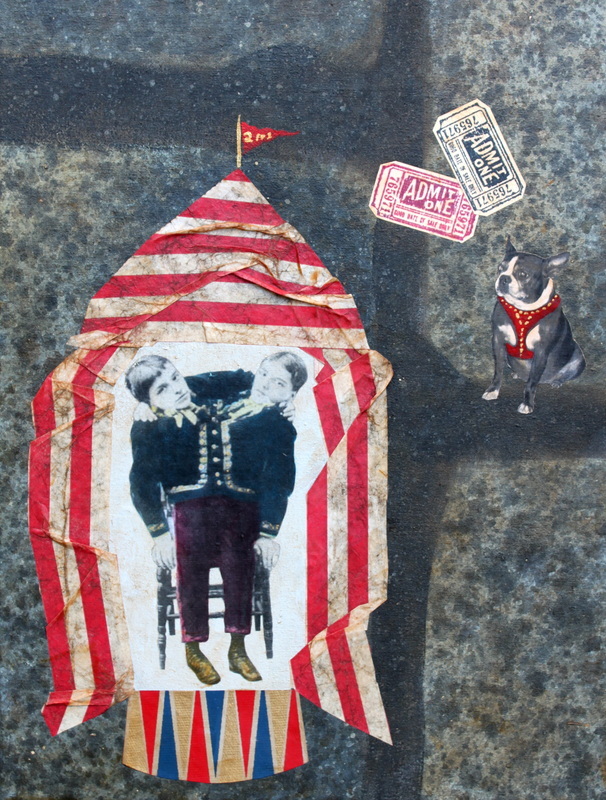 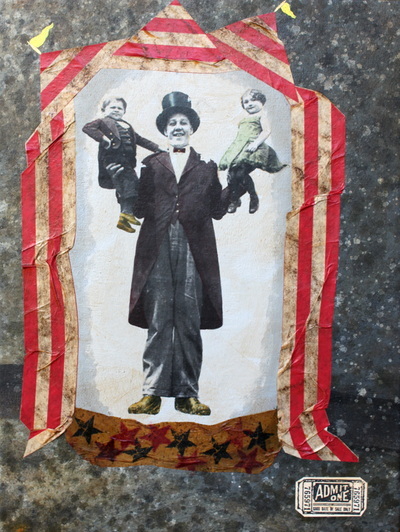 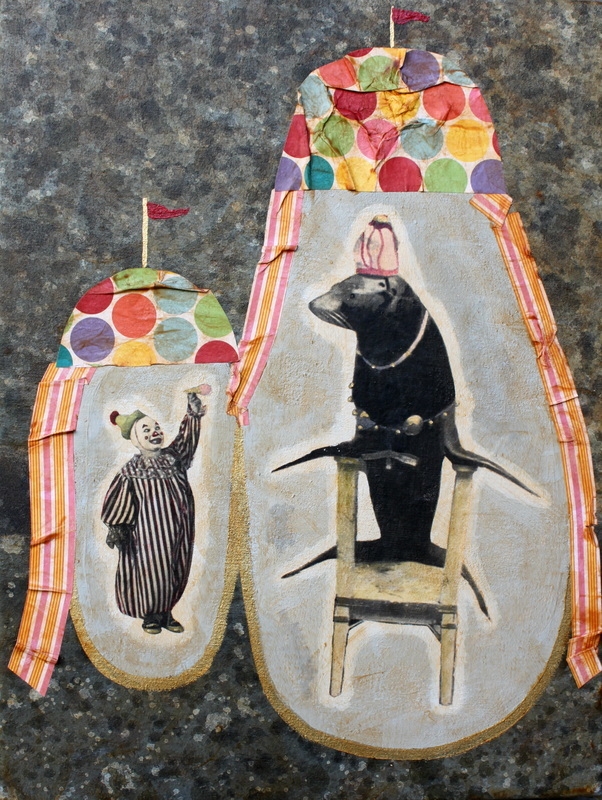 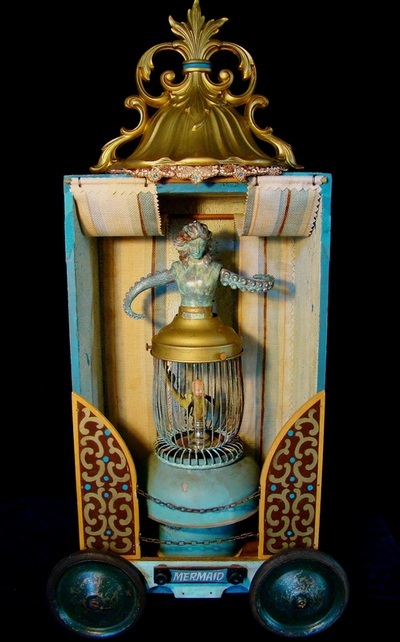 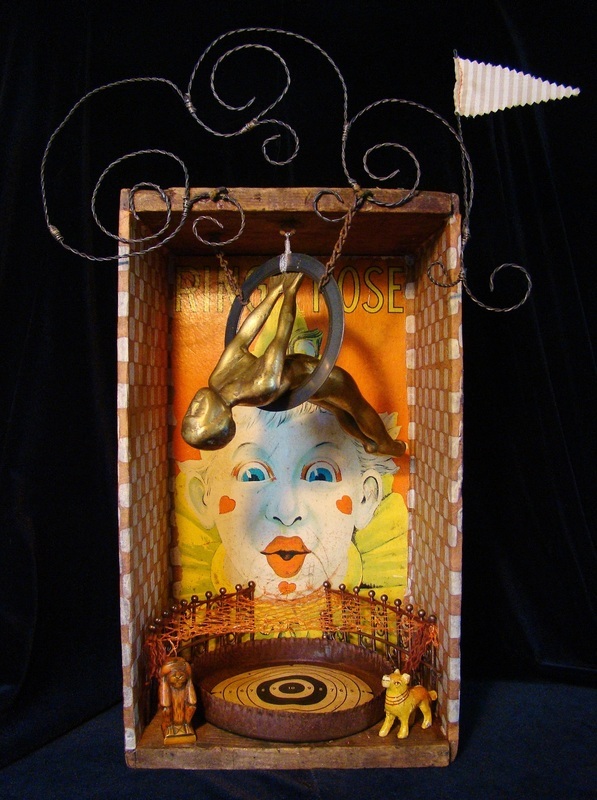 Nostalgic memories of a traveling show and its cast of compelling characters are recalled using the mixed media ephemera of Leslie Morgan's collage series and salvaged found objects in Dianne Hoffman's assemblage work. Step right up and run away with the circus!